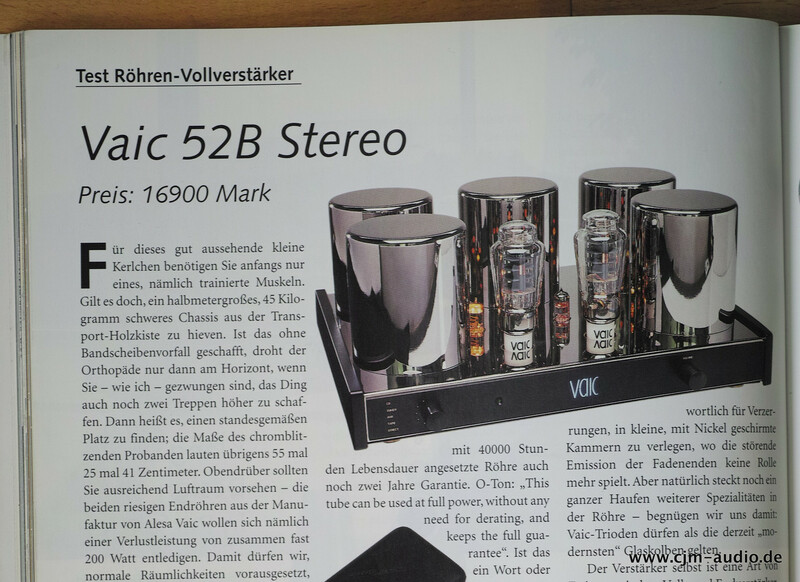 Sehr schön erhaltener 300b Trioden Röhren Vollverstärker von Vaic. 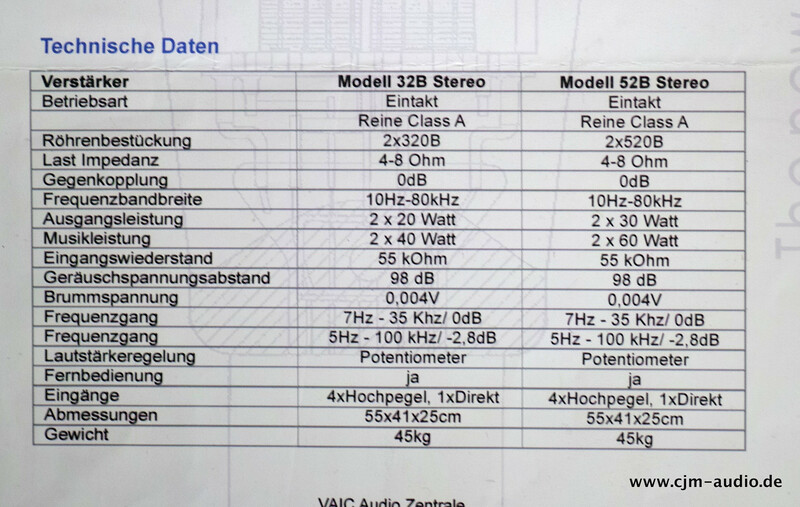 ( Ayon Audio ) Lediglich hinten Mitte der Netztrafo, wie auch eine Seitenpaneele haben leichte Gebrauchsspuren. 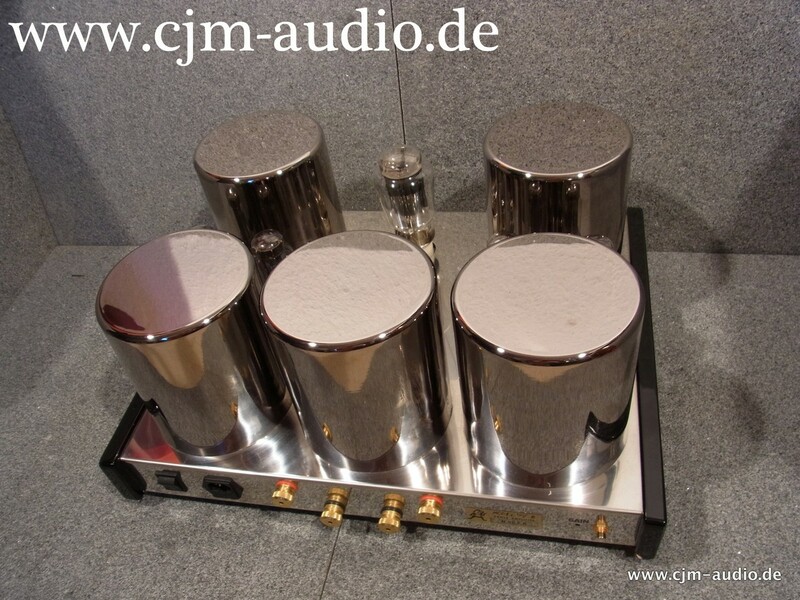 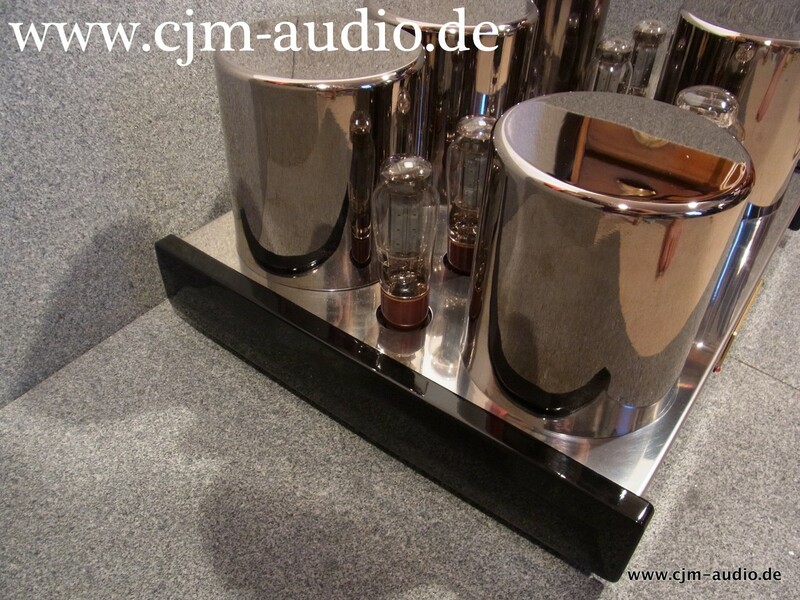 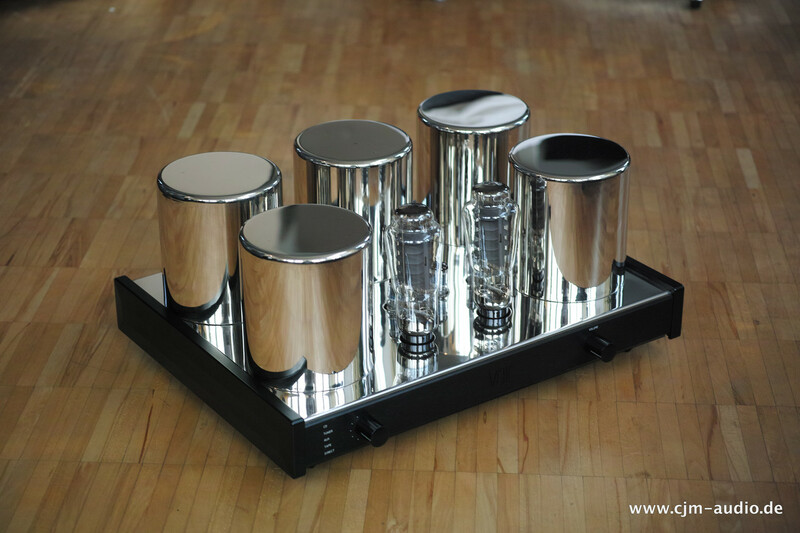 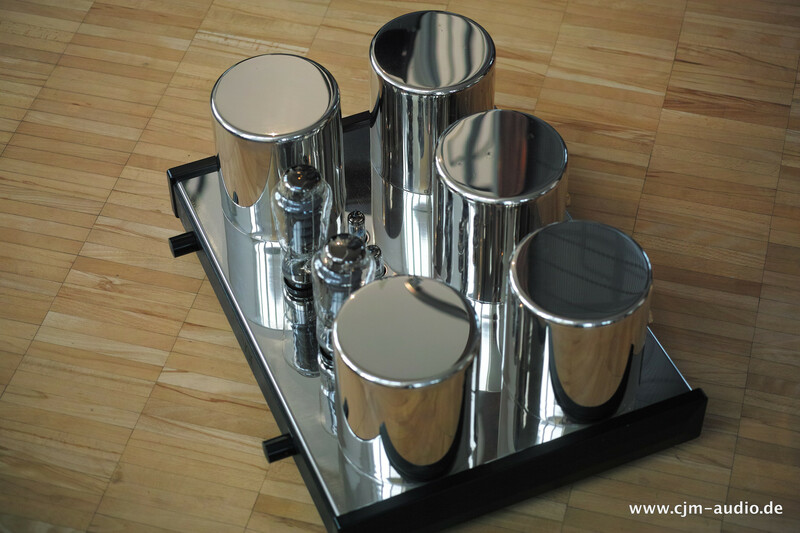 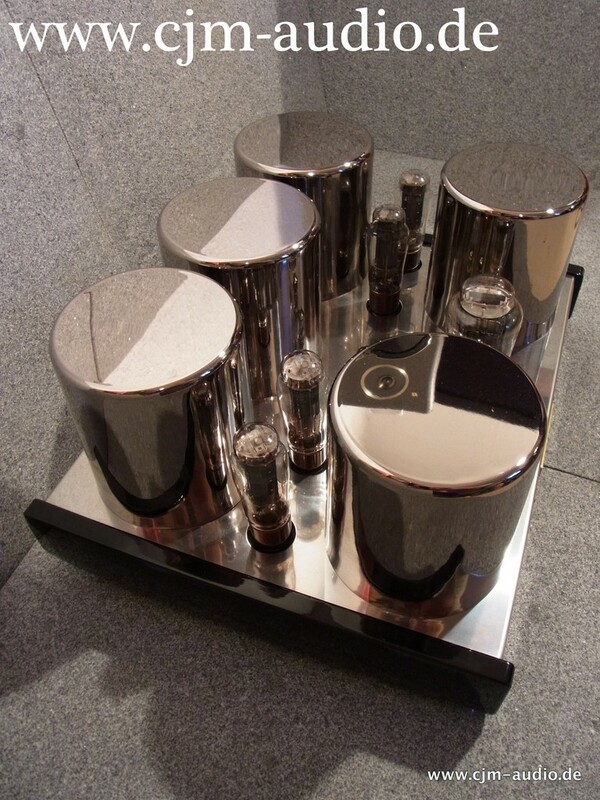 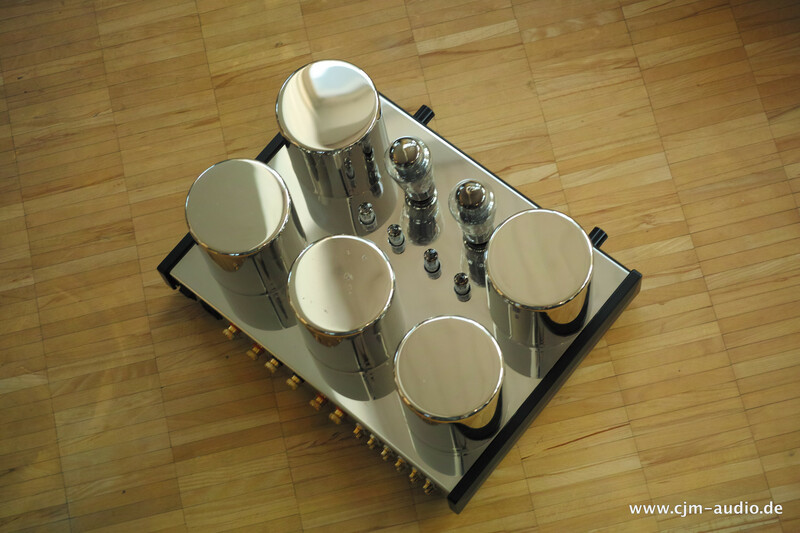 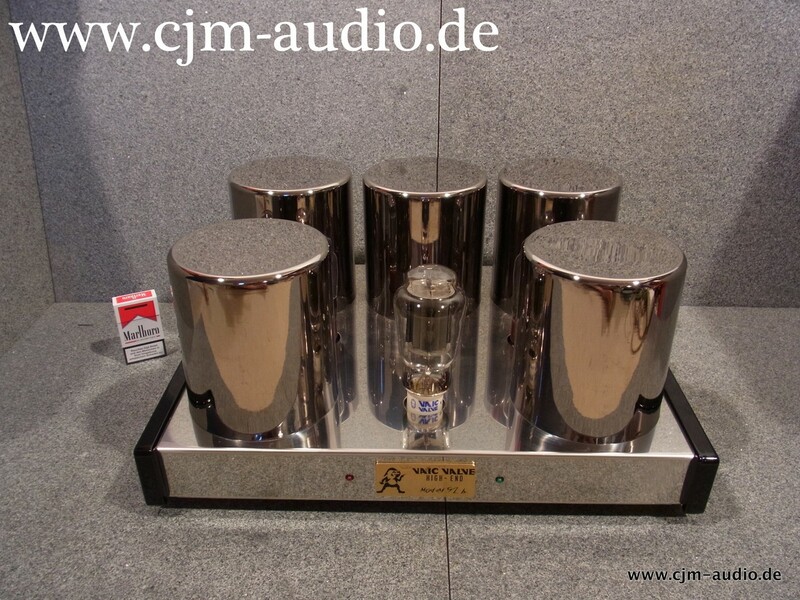 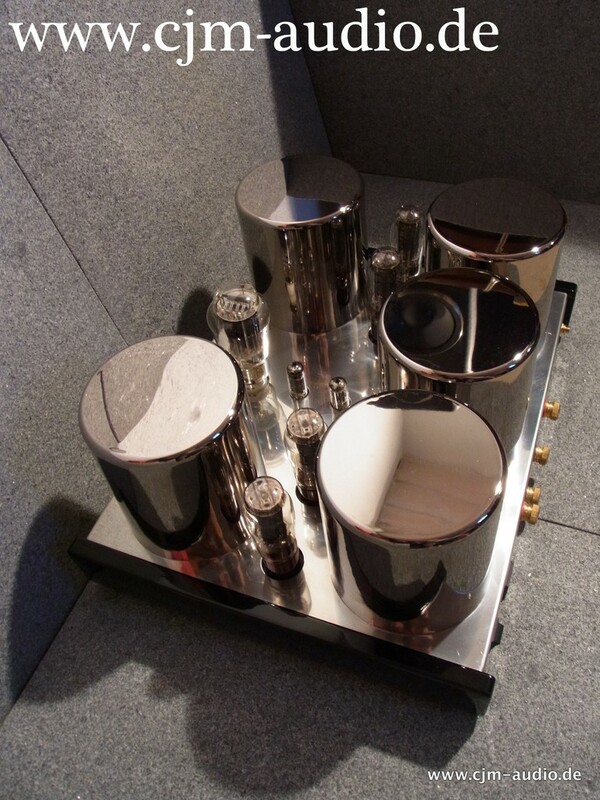 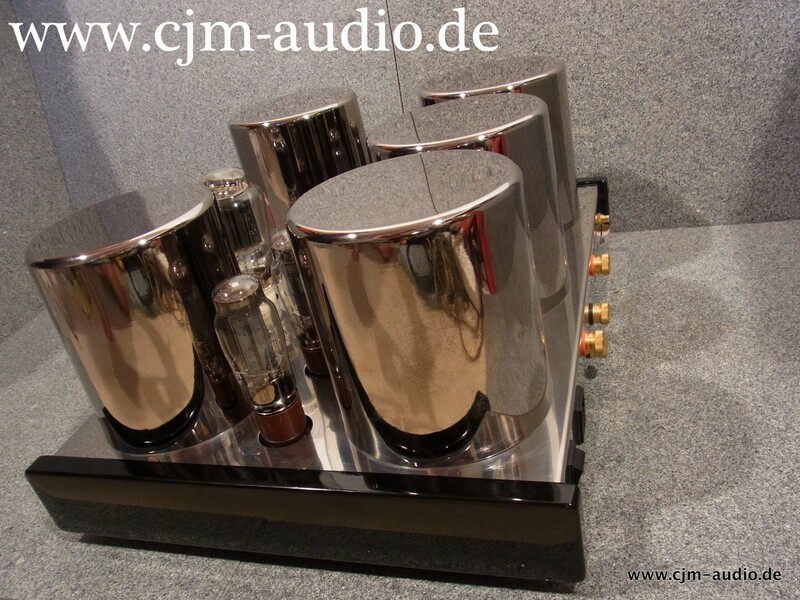 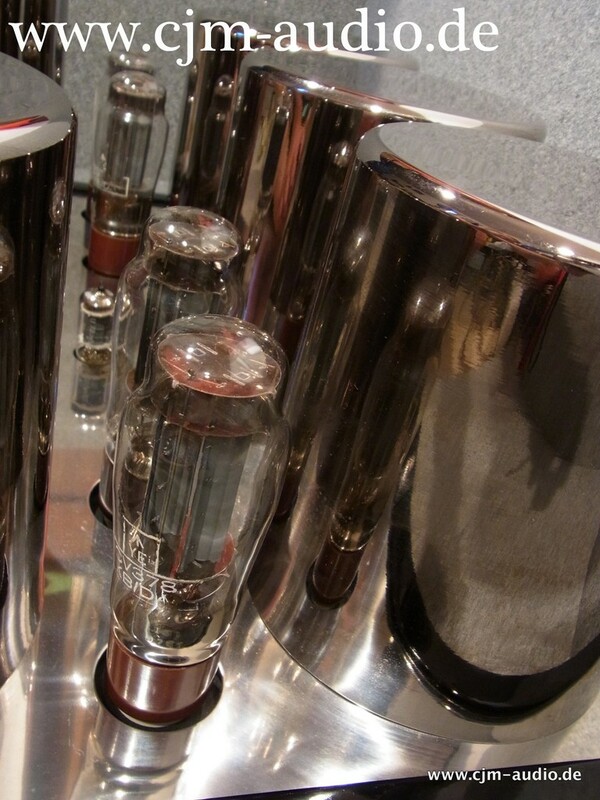 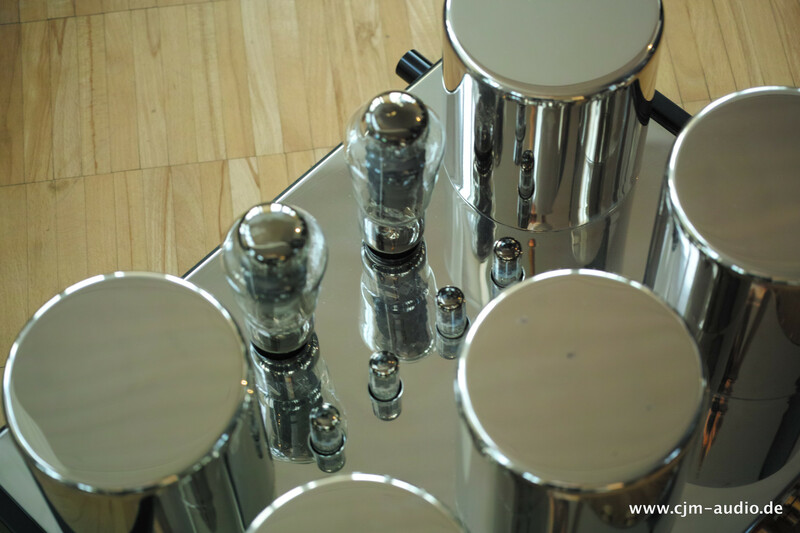 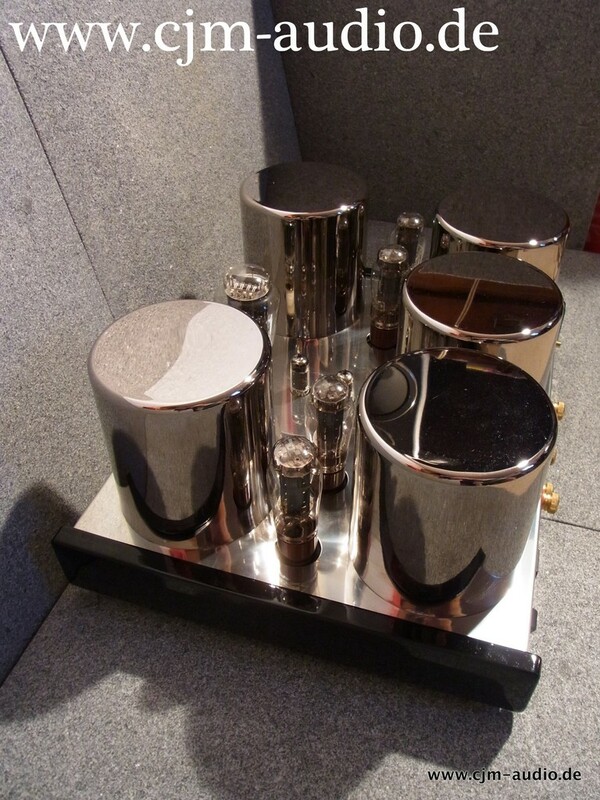 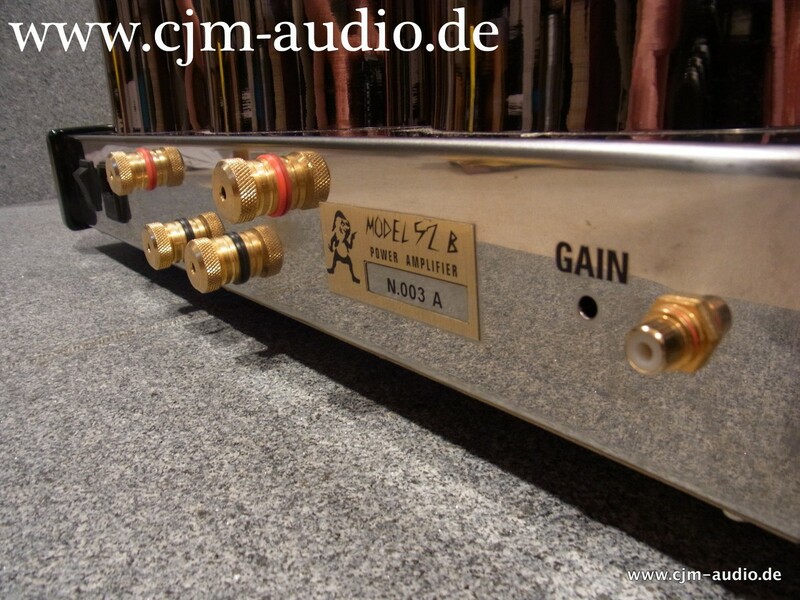 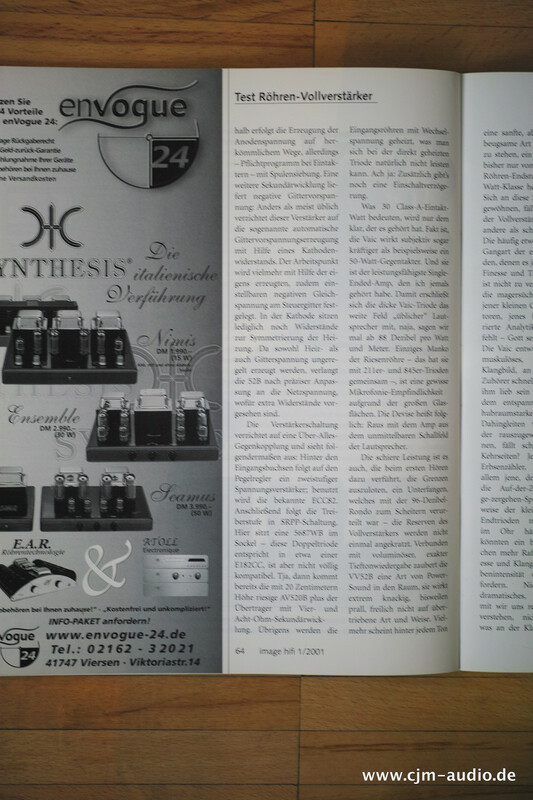 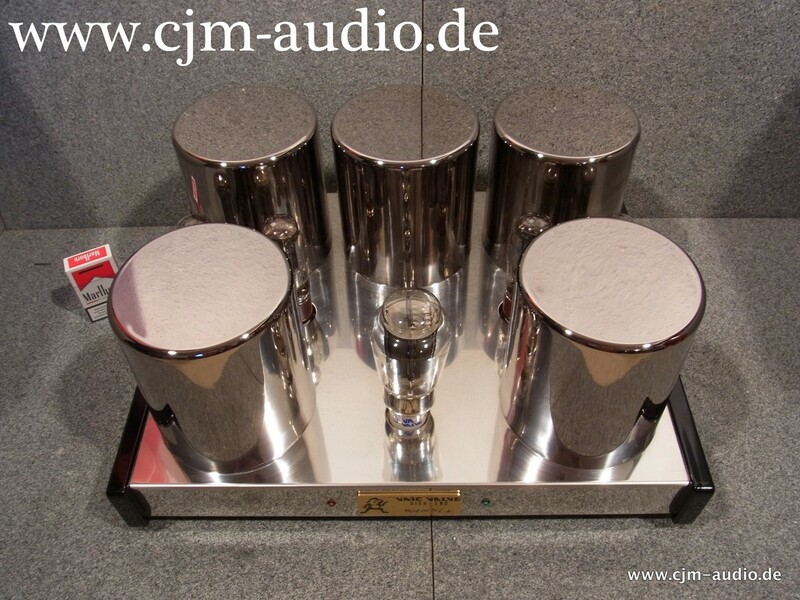 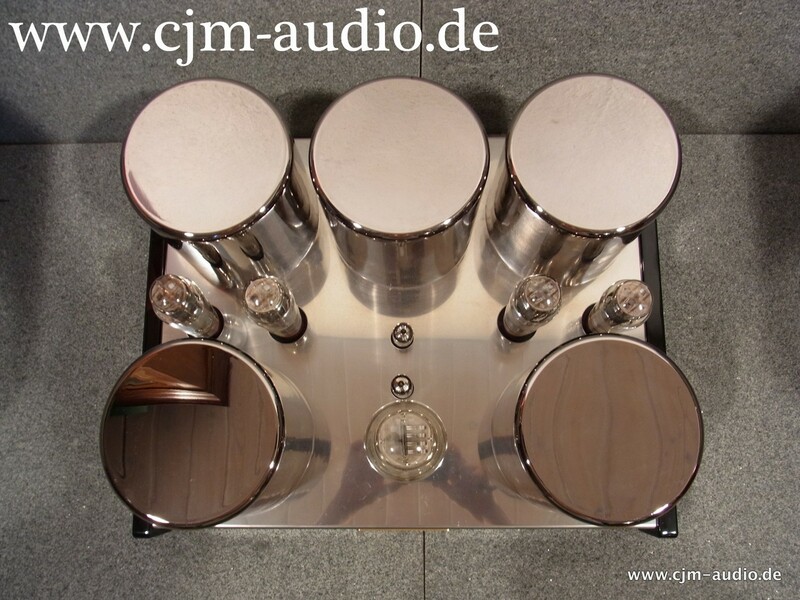 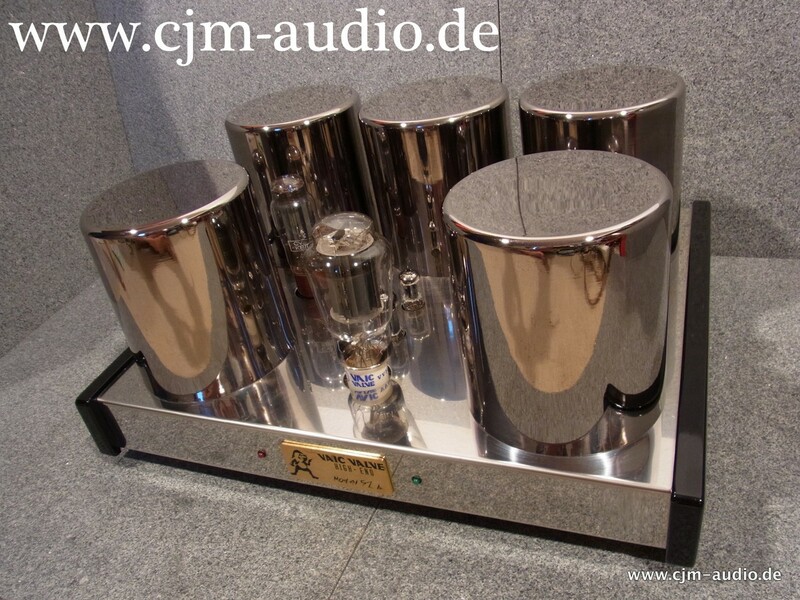 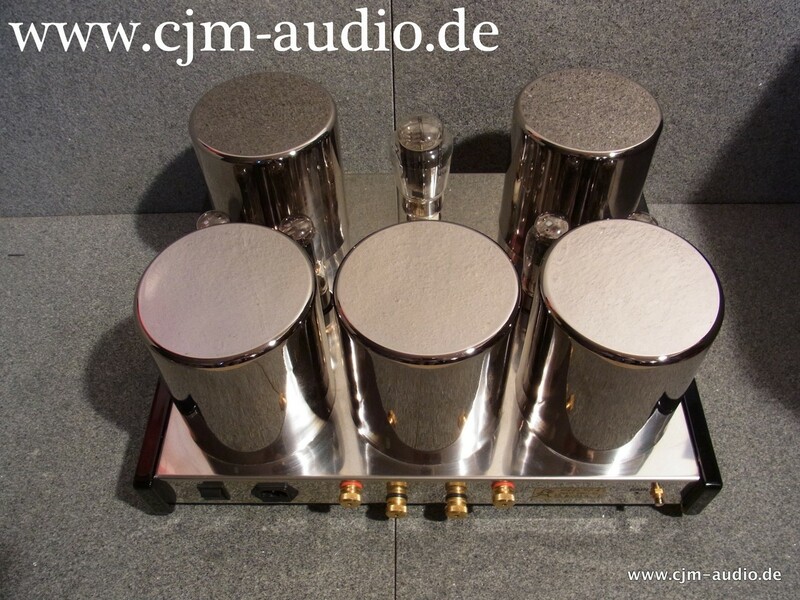 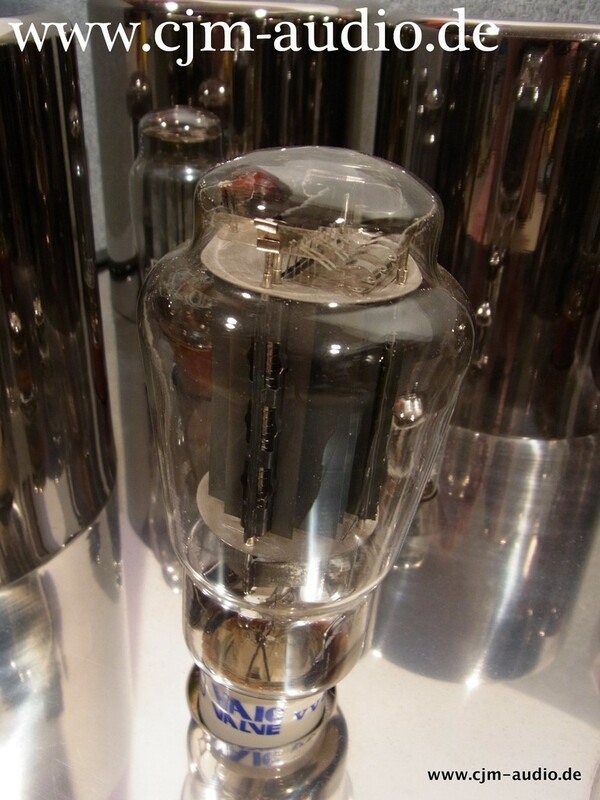 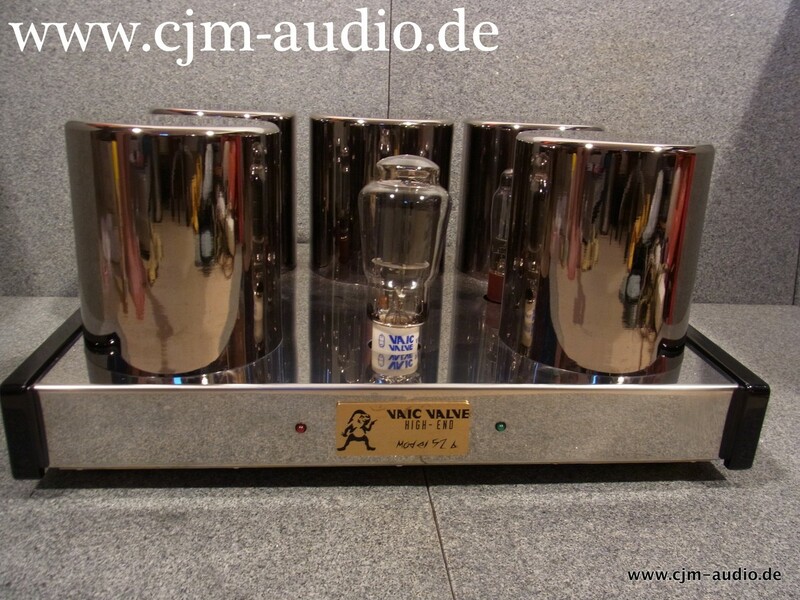 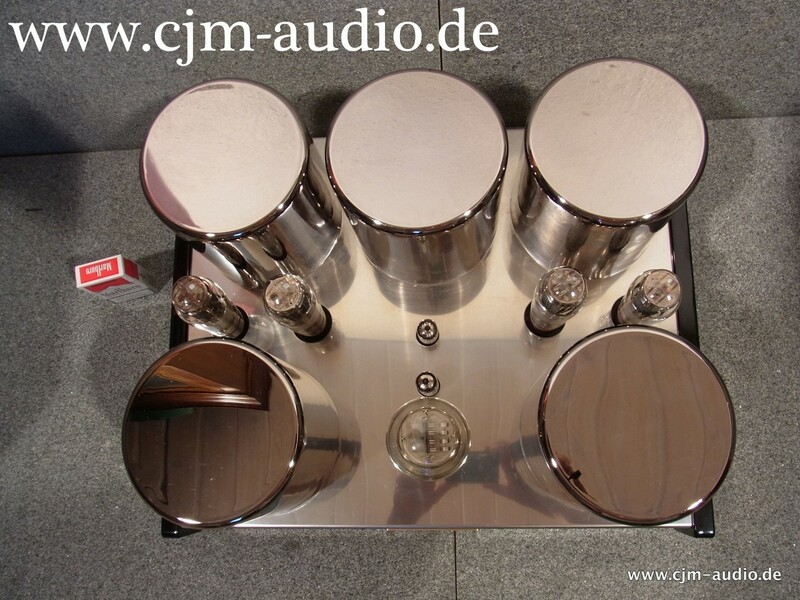 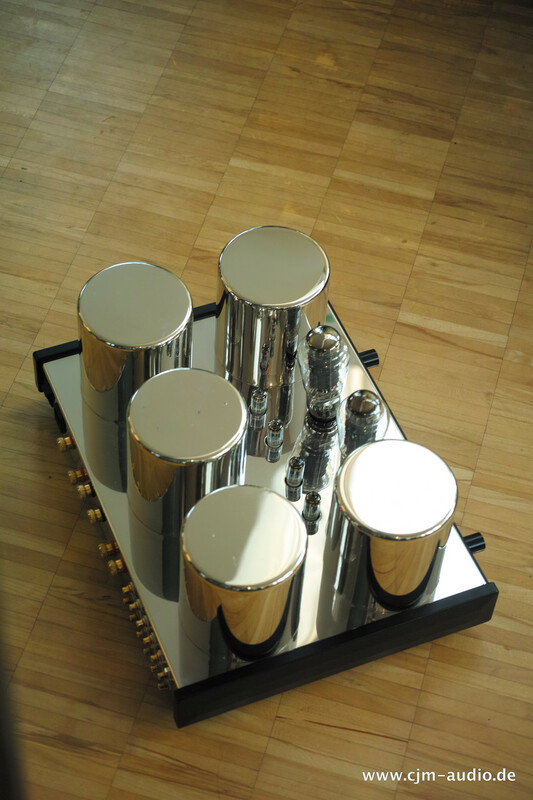 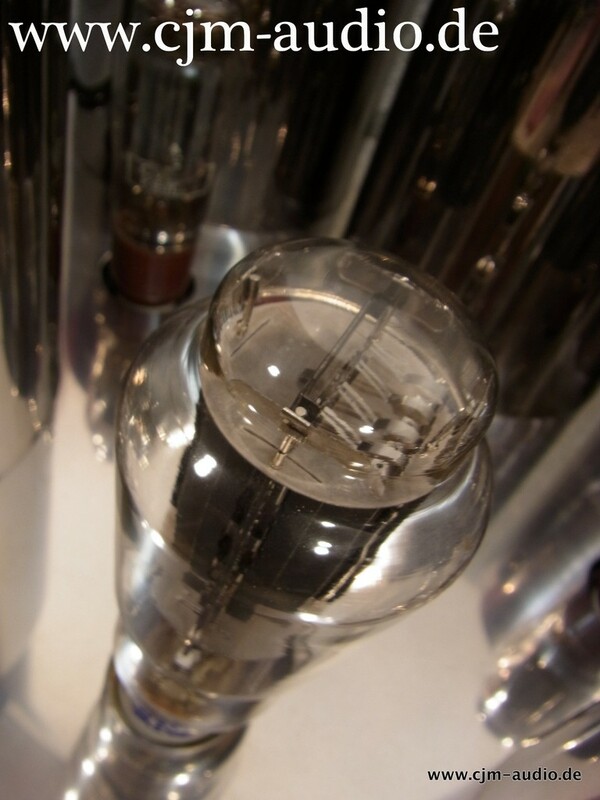 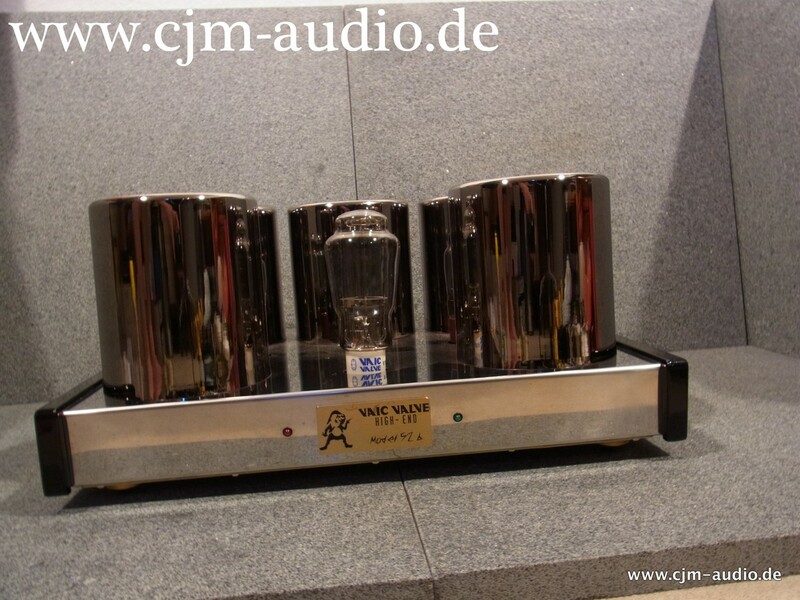 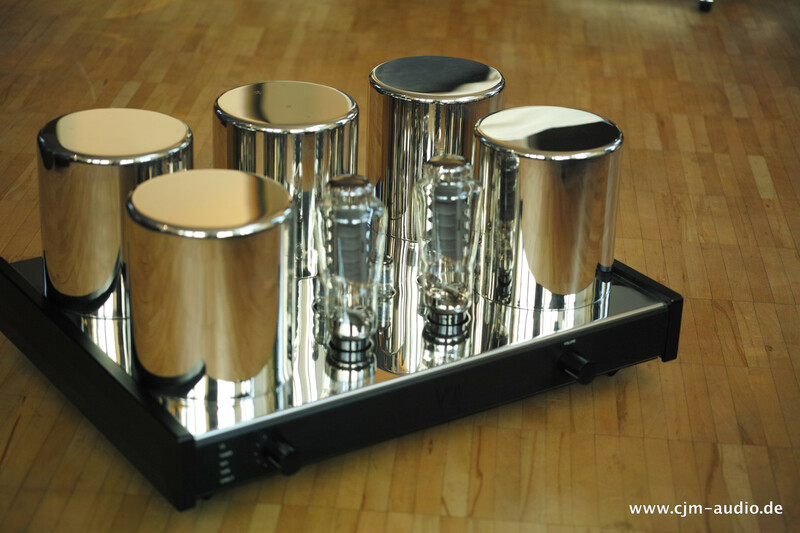 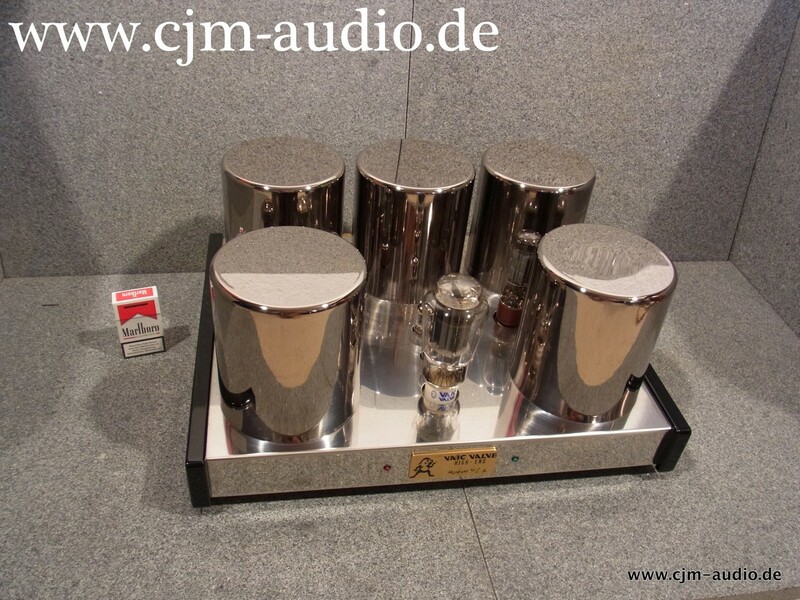 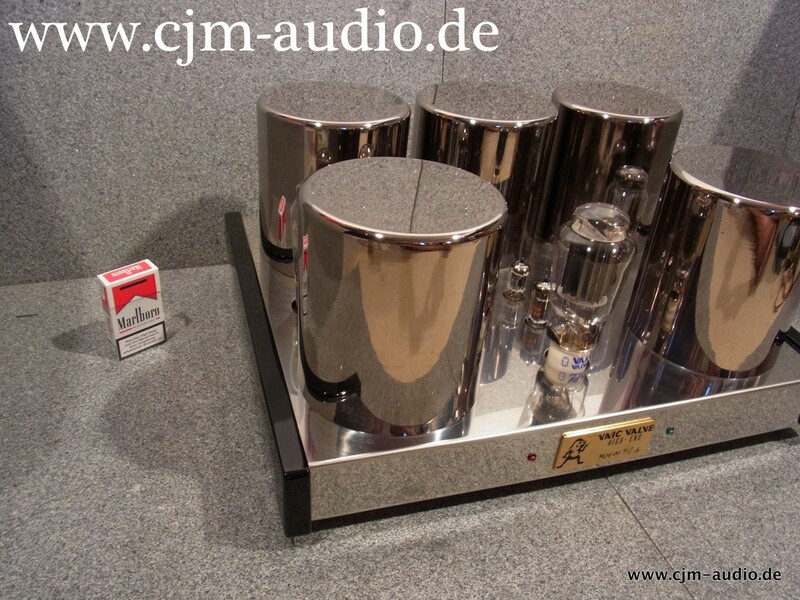 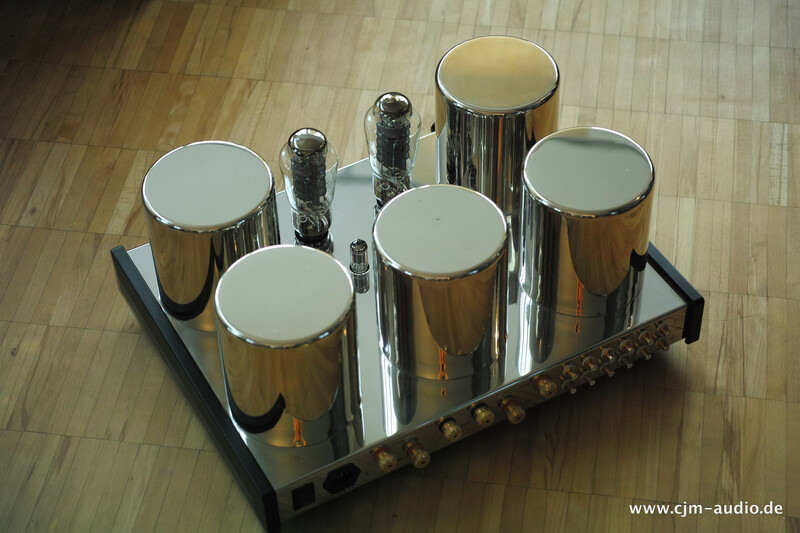 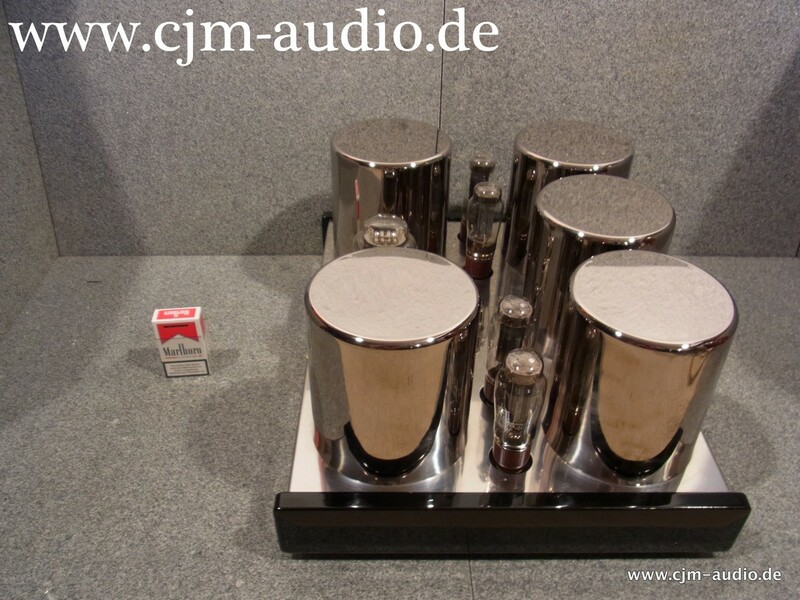 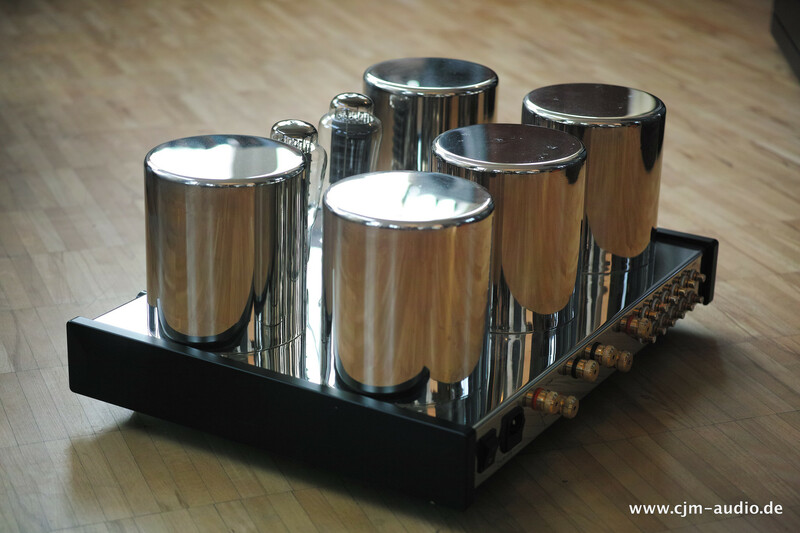 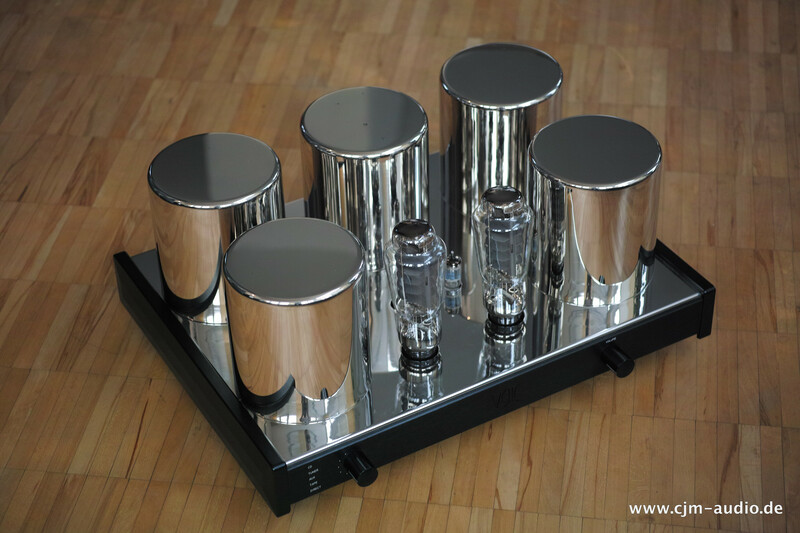 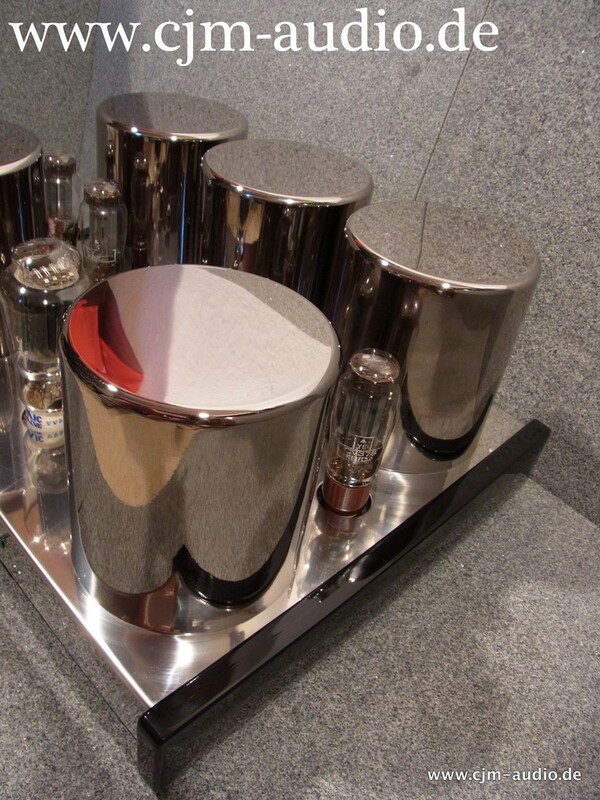 In 1994 we began to make our first tube amplifier in Italy under the brand name “ Vaic”, it called Vaic 52B monoblock and was a single-ended triode power amp and with this amplifier our career starts up internationally. 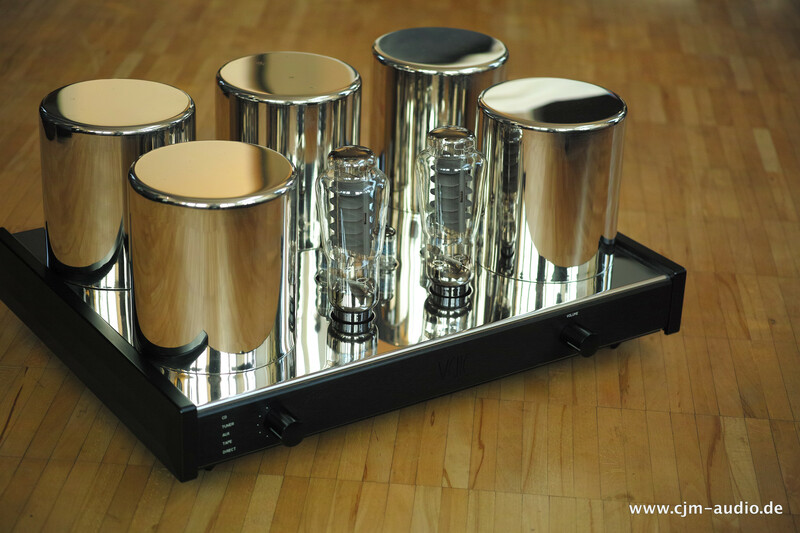 1996, we got for this amp a 5-star review from Harry Pearson “Absolute Sound”. 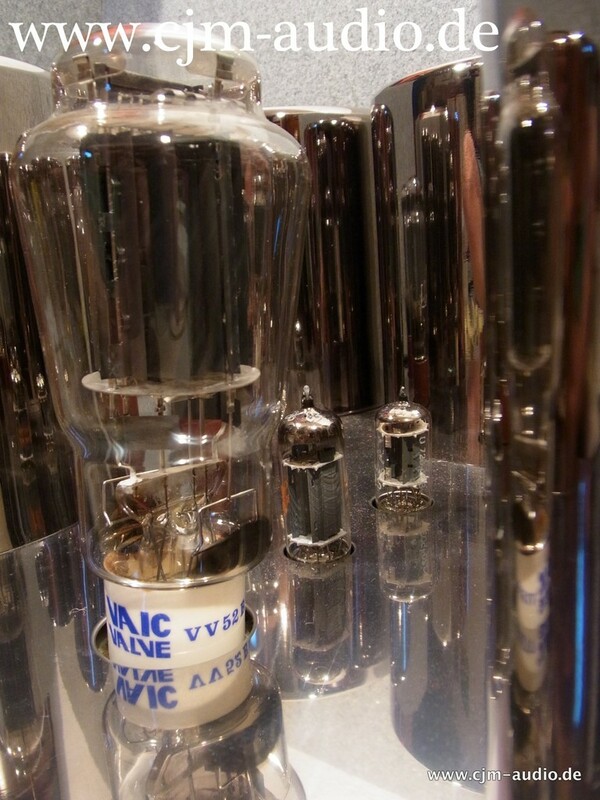 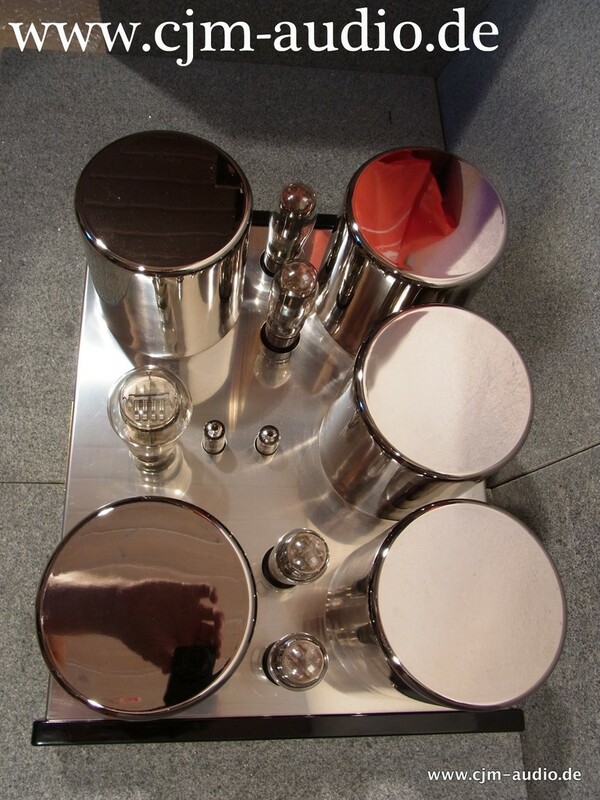 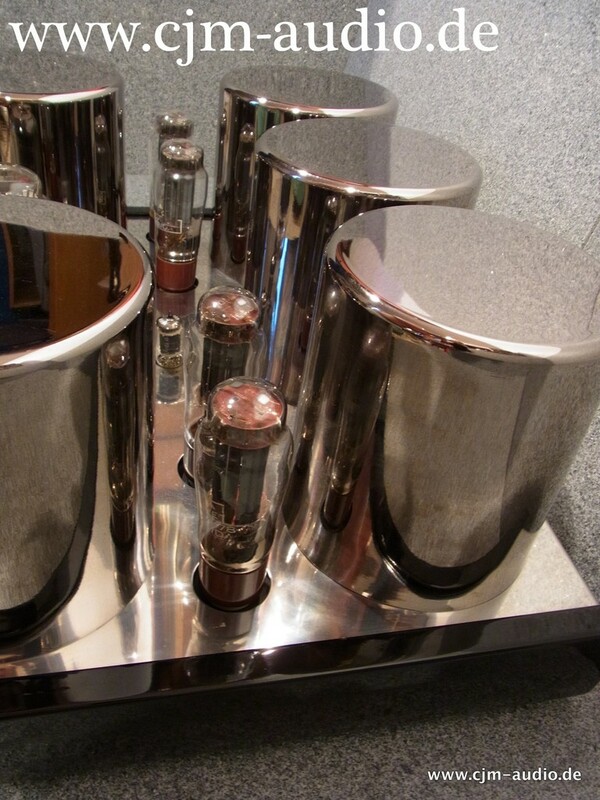 Power tubes were made by Alesa Vaic in Prague at that time and he was only responsible for tubes and was not engaged with our amplifiers although we used his name. 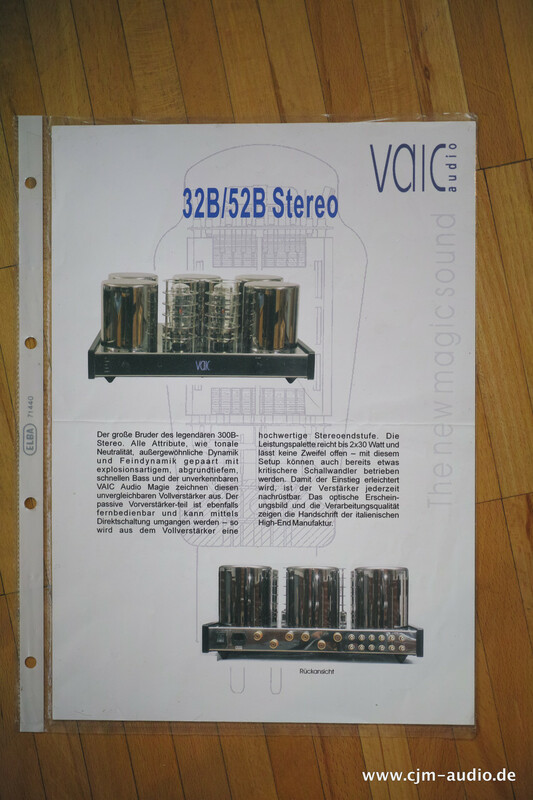 “Vaic” is still our brand name but we don’t use up this name any more. 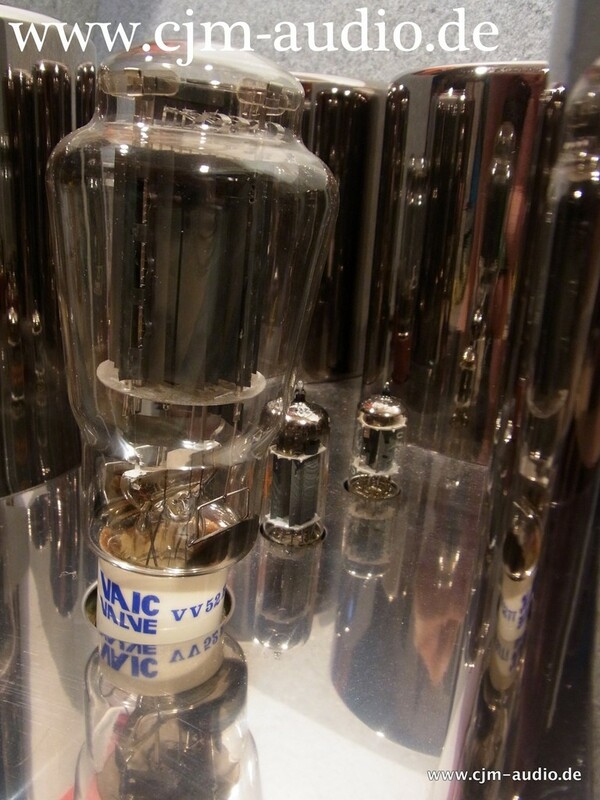 1998 Alesa Vaic stopped tube production. 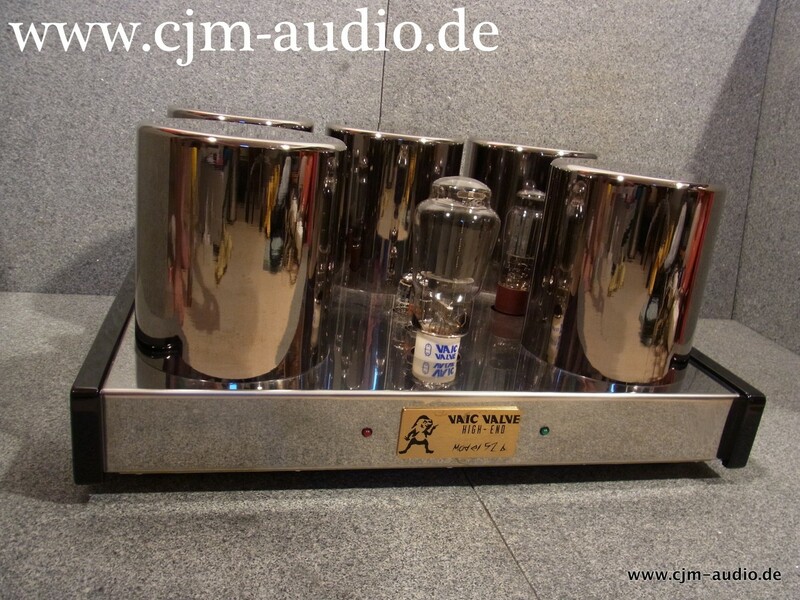 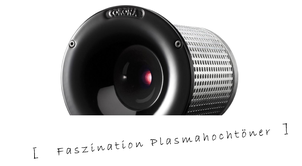 1999 we merged “Vaic” to Ayon Audio and in the same year we took over a part of the old Alesa Vaic tube factory and renew many things there and involved add the former Tesla chief tube engineer. 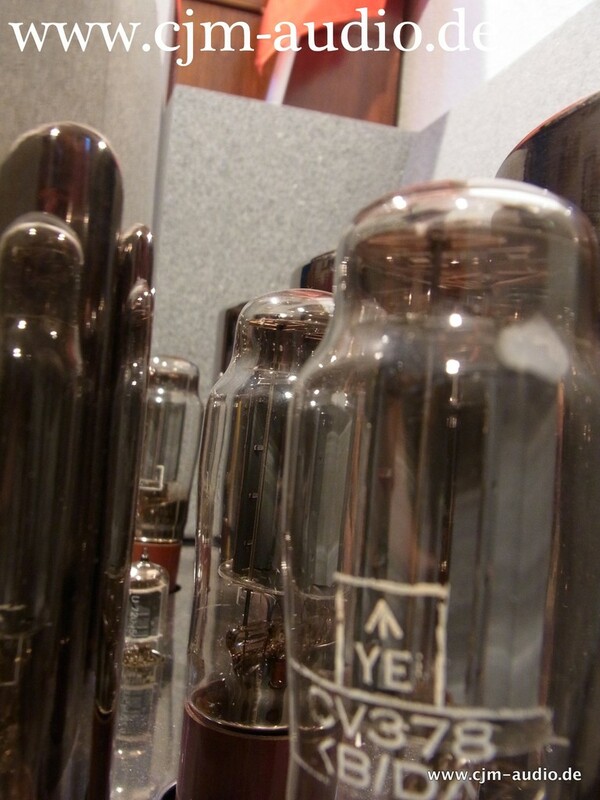 Since 2000 we are producing our own Ayon single-ended triode power tubes in Prague. 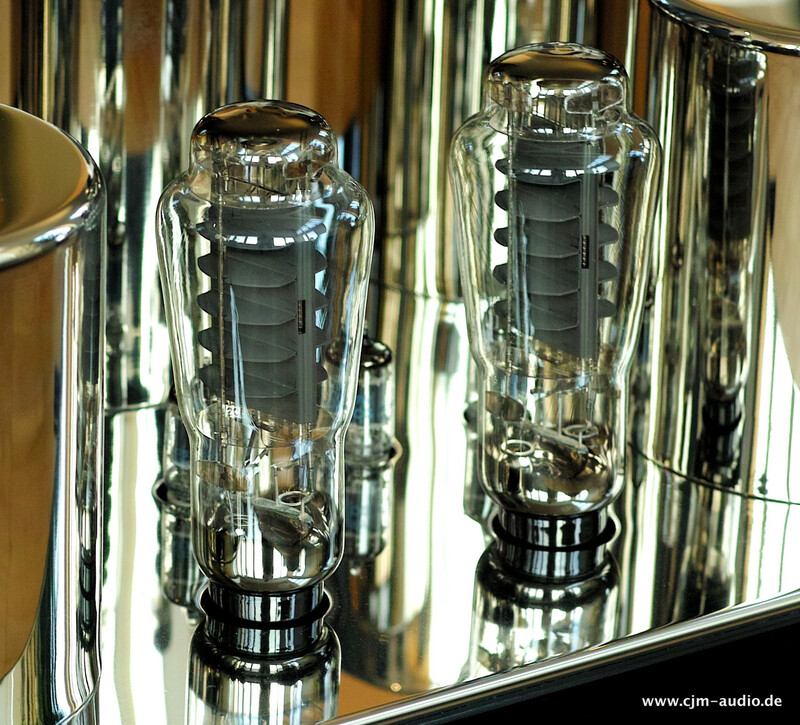 We can say that the Ayon tube quality nowadays is perhaps one of the best in the world, over more then10 years we optimized everything and made it perfect, for an example we are using “laboratory” glass the highest glass standard, gold wire for filament, special zirconium coating for anode plate and special welding progress to keep highest precision which is extremely important for high power SE-triode tubes. 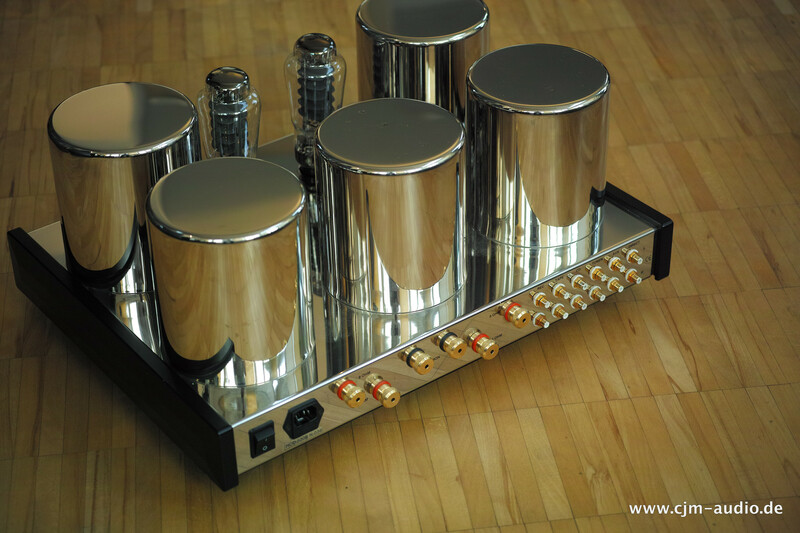 During we merged the brand name to Ayon we also moved from Italy back to Austria, because our Italian manufacturer was on the limit with their skill and expertise and we felt we have to go a new way with much more power and engineering in the background. 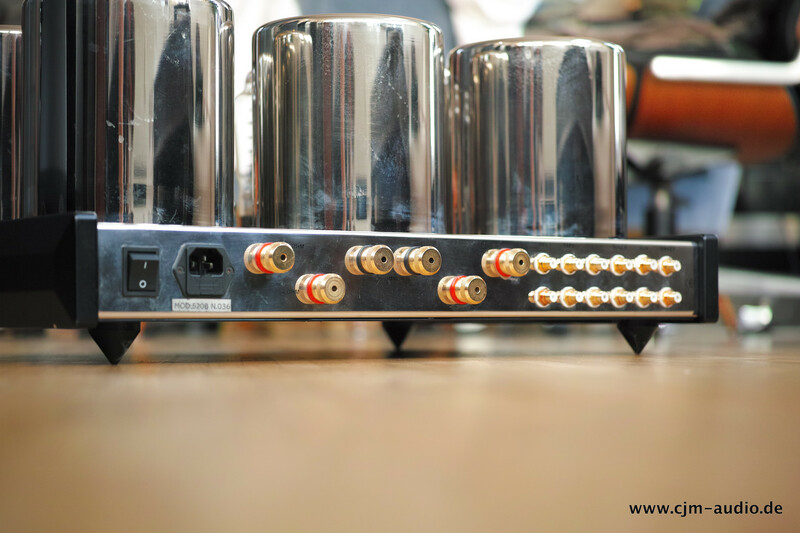 We had to turn around totally to make the next big step ahead to bring Ayon quickly forward and increased our engineer team rapidly. 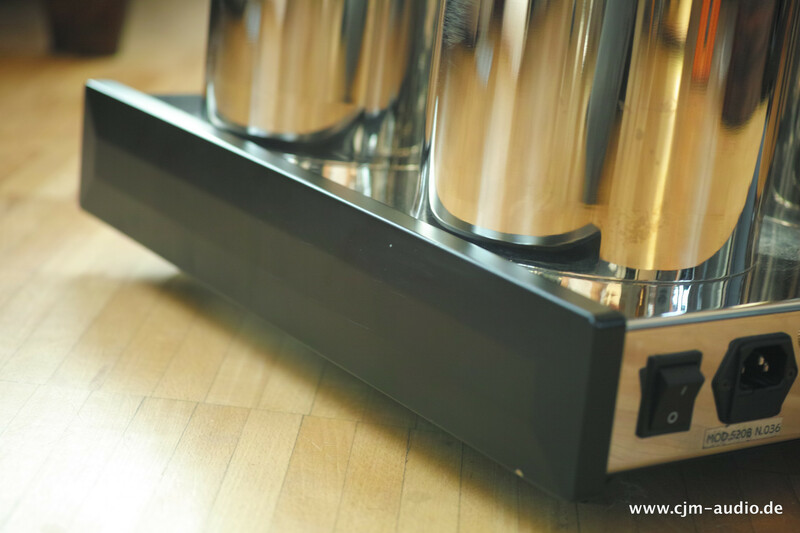 With this important step ahead, I had a vision in my mind to bring Ayon close to the top of the top tube manufacturer companies. 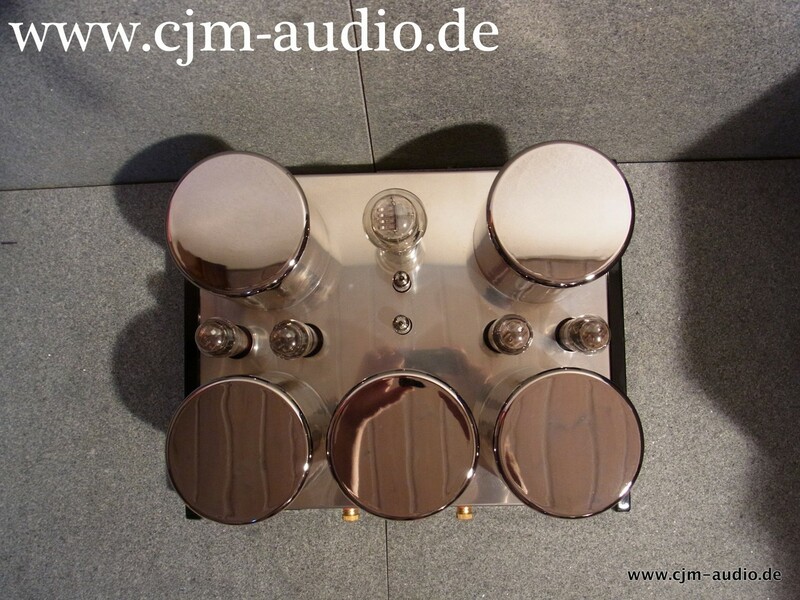 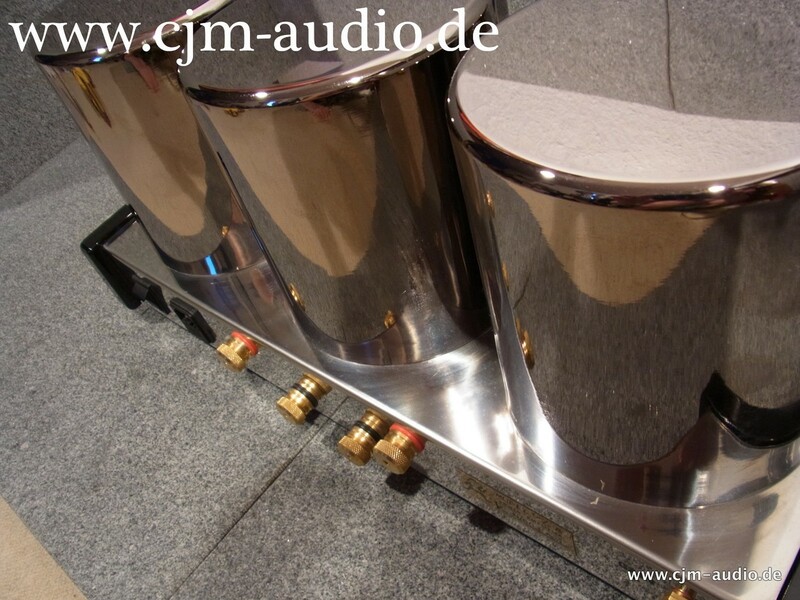 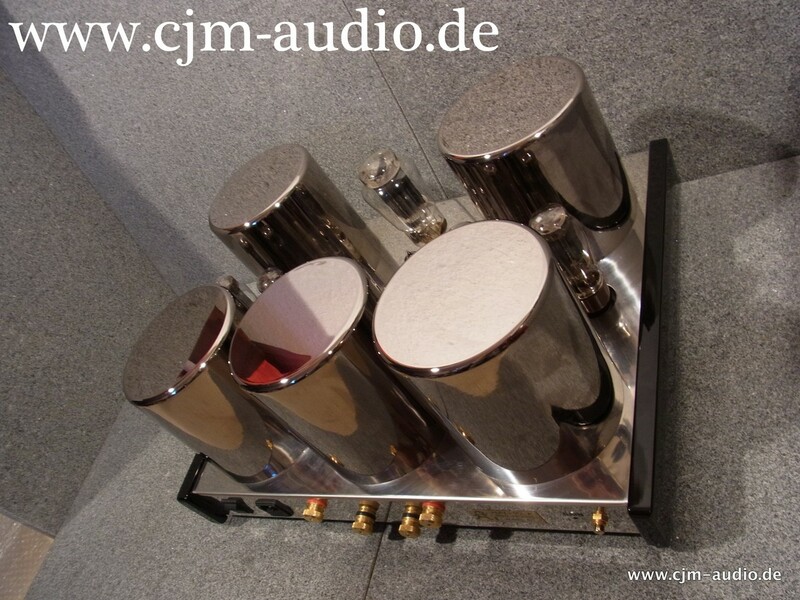 We start up to design a new generation of amplifiers with Aluminium chassis which produce a much better sound performance as stainless steel chassis and combined with new circuit and output transformer design. 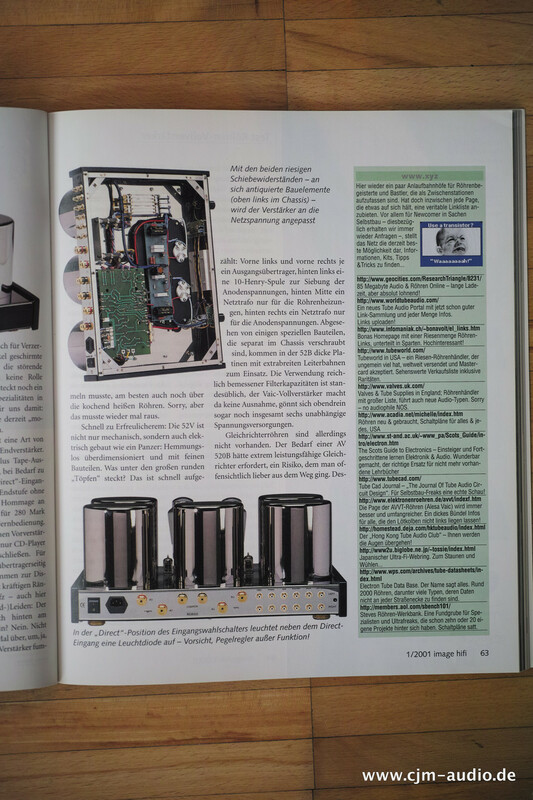 2001 we exhibited at the CES with the Ayon Reference 52B monoblock and Lumen White Loudspeaker; we got best sound of the Show by the most important top High-End magazines around the world. 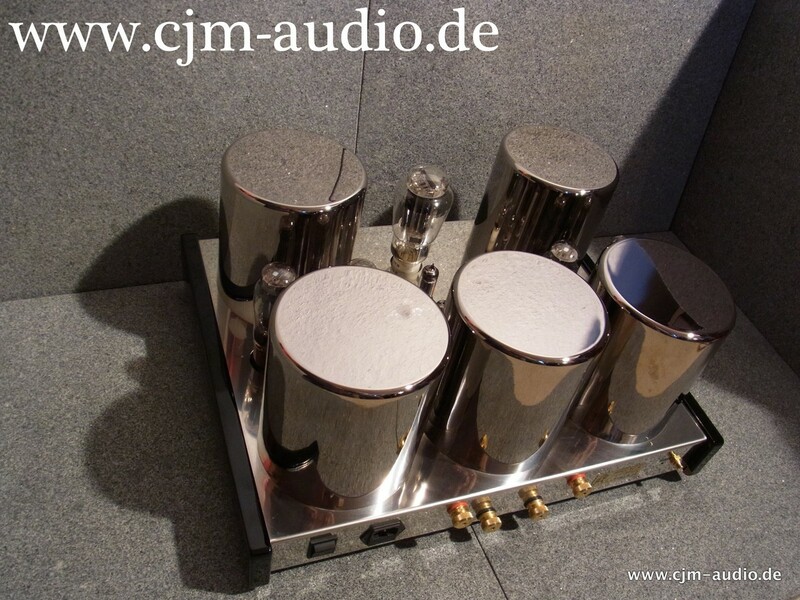 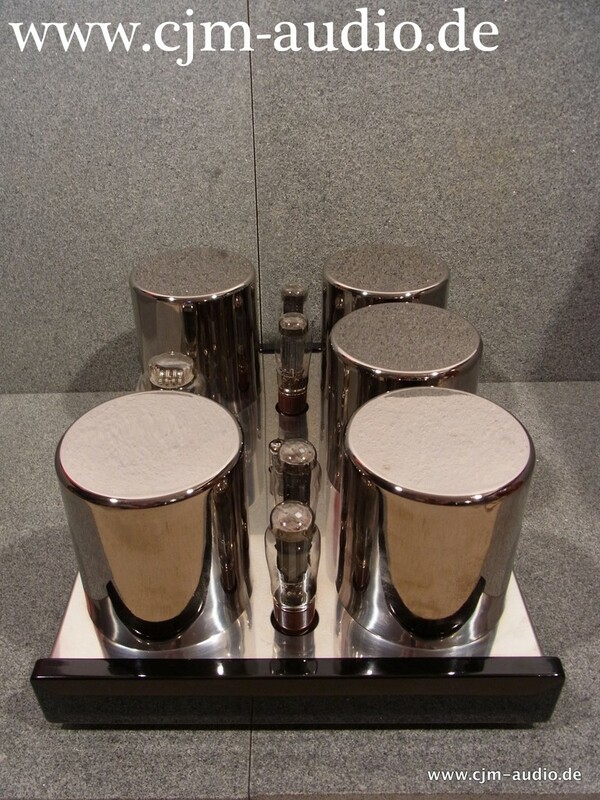 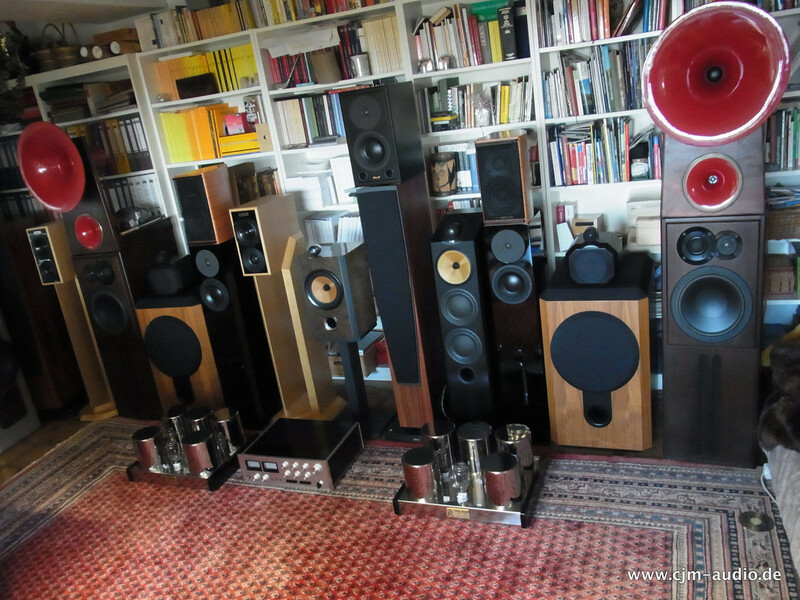 2002 we build our first SE integrated amp the Ayon 300B. 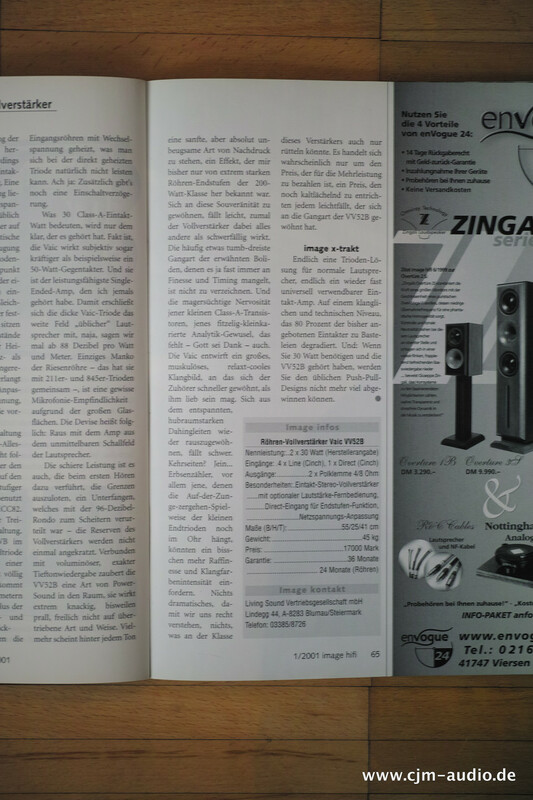 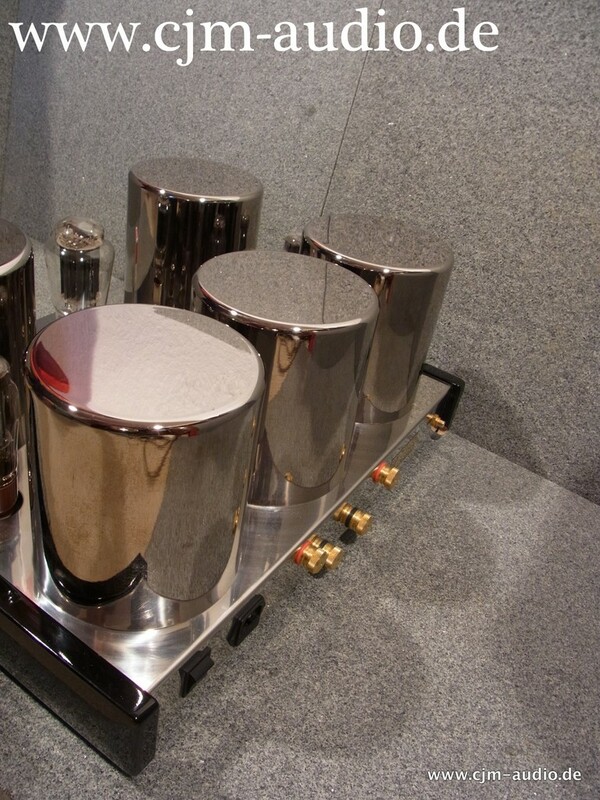 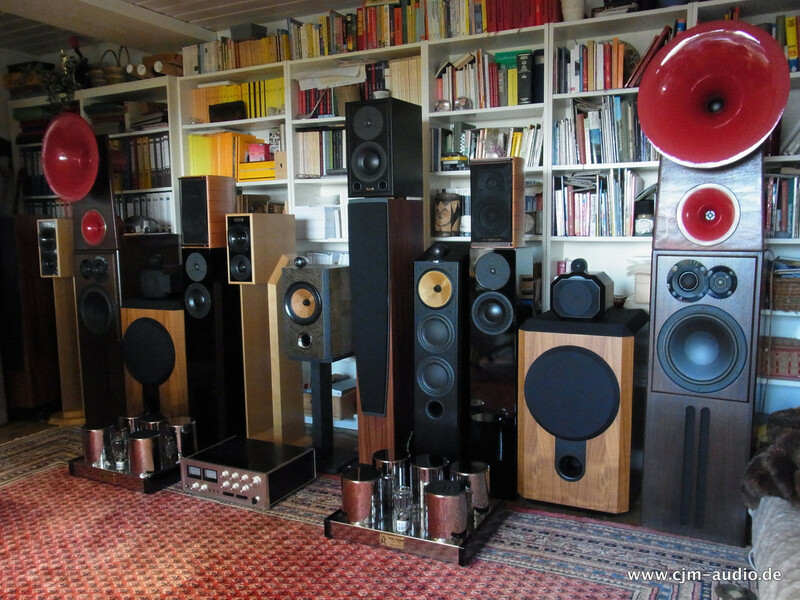 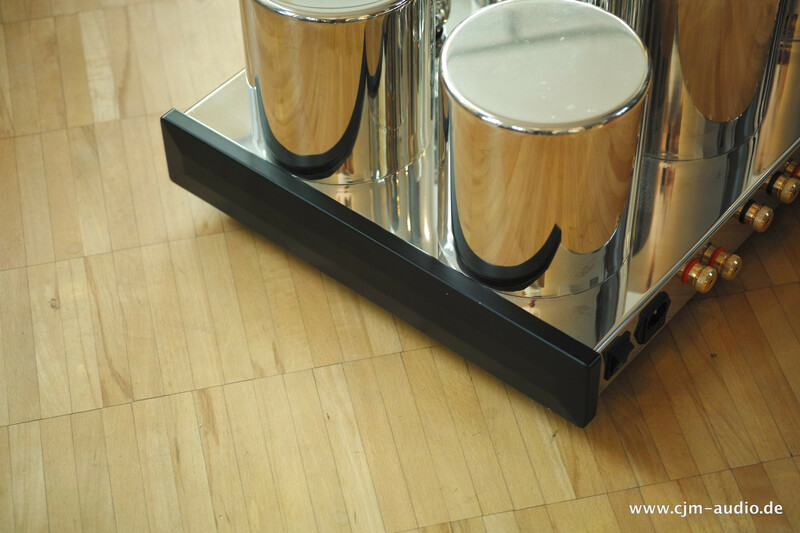 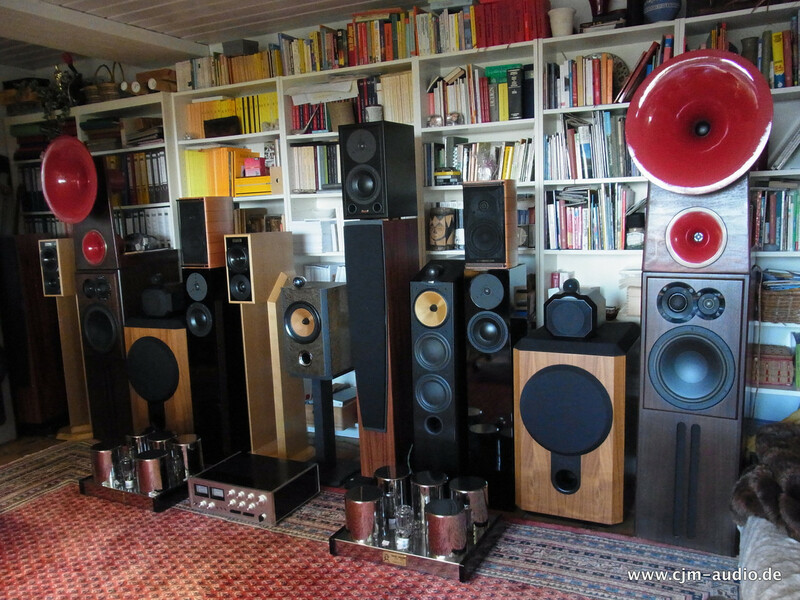 2003 we introduced the first Ayon loudspeaker, the Dragon. 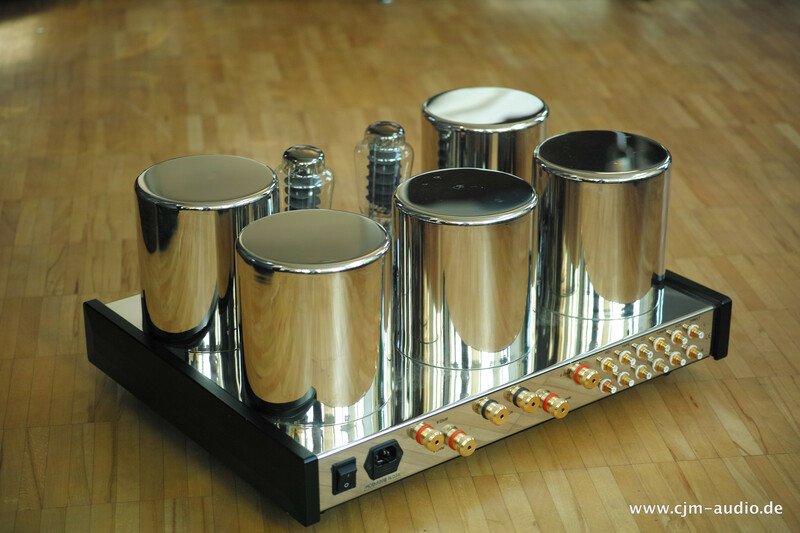 2005 comes the next important milestone for ayon, we introduced the “state of the Art” Spheris preamplifier with a complete new preamp design and tube power supply technologies. 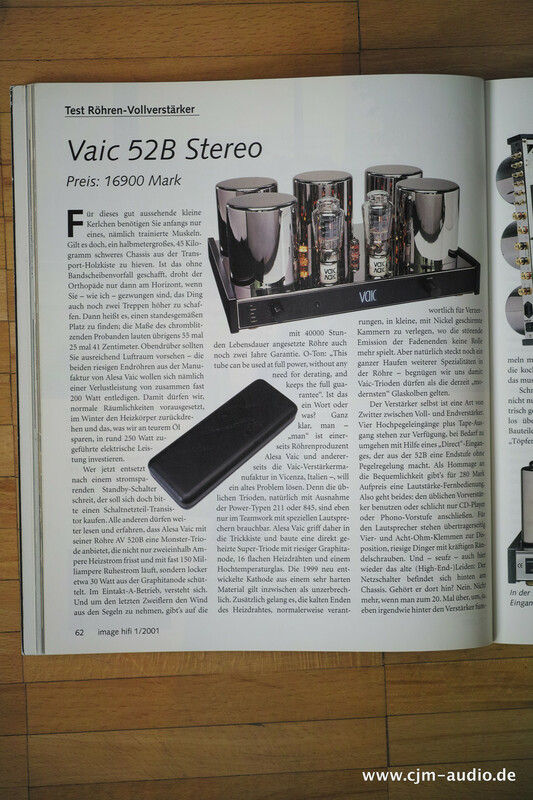 Angeboten wird ein Paar Vaic Valve B52 Röhren Mono Endstufen. 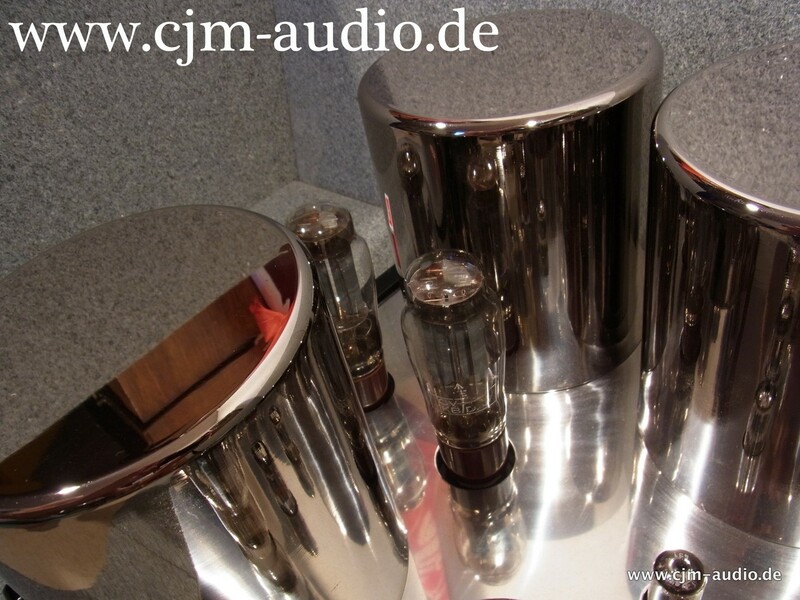 Die Endstufen wurden vor drei Jahren bei Mastersounds frisch gewartet. 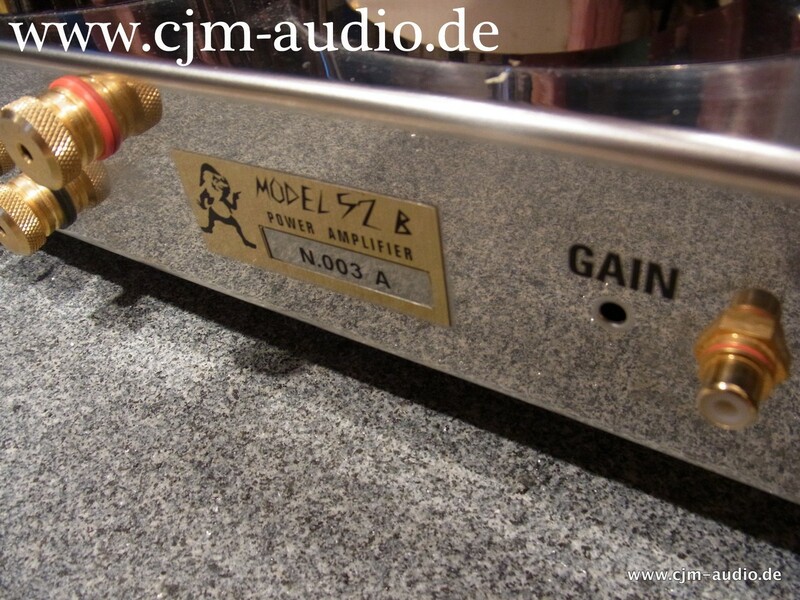 Gesamtgewicht 90kg.........es gibt wenig Vergleichbares! 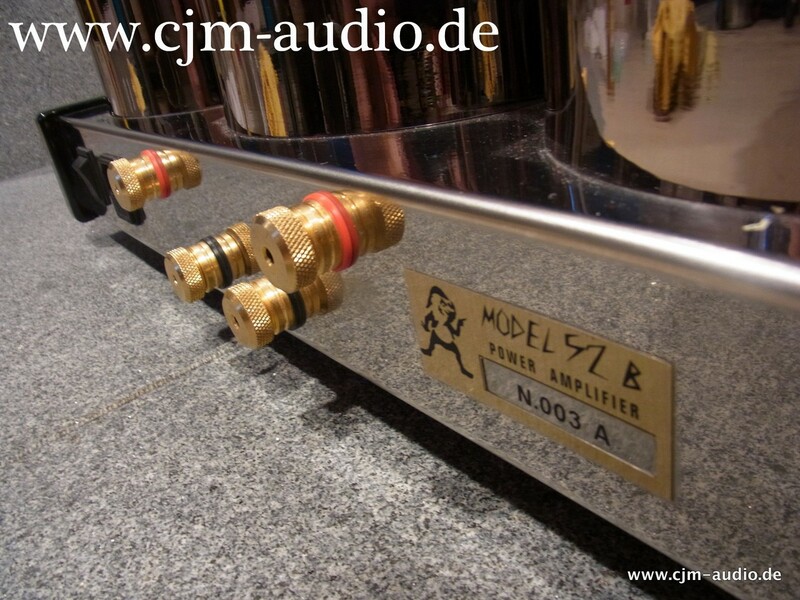 Es handelt sich selbstverständlich um zwei Röhren Mono Endstufen, siehe letztes Bild. 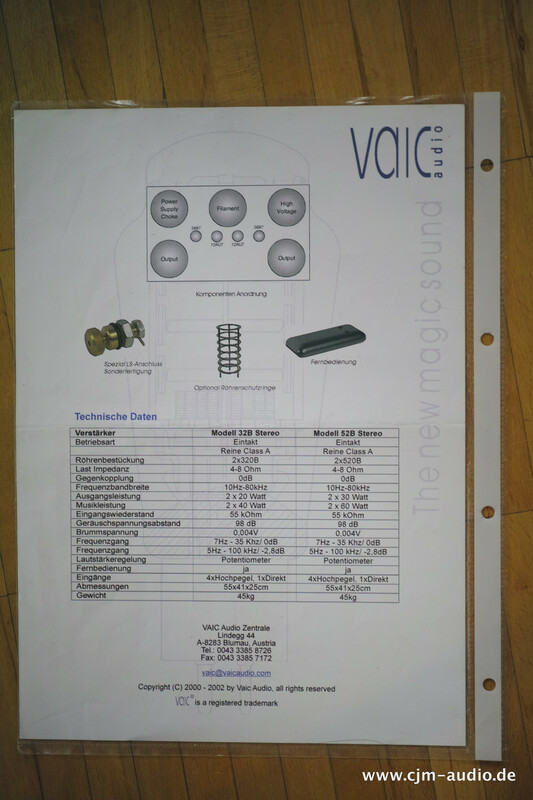 Vor einem Monat wurden die Vaic, welche übrigens im Museum Of Modern Art in NY ausgestellt werden, erneut für 900,-€ professionell überarbeitet.